Tom Caley is a passionate advocate for employee and customer experience. His working life began in retail and contact centres—and after a short detour through the world of graphic design—he progressed into contact centre management and call quality management. 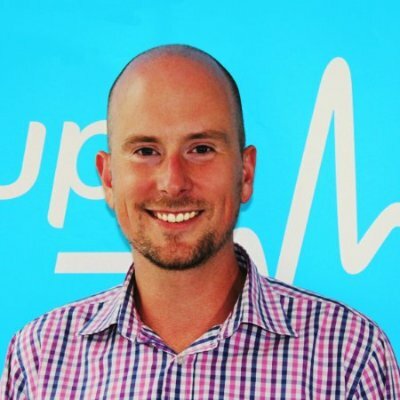 Recently, Tom has been running the Voice of the Customer programme within the Australian arm of global healthcare giant, Bupa. Tom played a leading role in the establishment and development of Bupa’s multi-level NPS system in Australia and New Zealand, encompassing the Health Insurance, Aged Care, Medical Visa Services and Dental businesses. This programme became the blueprint for Bupa’s NPS programme worldwide and a core part of its ongoing shift to a truly customer-centric culture. In 2016, Tom was promoted into a global role in Bupa’s HR division, focusing on applying customer-listening principles and technology to employee listening and engagement. We met to discuss Tom’s thoughts around Voice of the Customer and customer listening programmes. What advice would you give someone tasked with implementing a VoC programme from scratch within a large company? Great question! There’s a lot to think about when starting out and it might be helpful to break this down into a few areas. Firstly, and especially in large organisations, you need to consider the politics of the situation. From where is the desire for the programme originating? You might have the full sponsorship and backing of the C-suite, which is likely to make things a lot easier. Alternatively, you might be kicking off the programme from within a service or market insights division and looking to recruit a senior sponsor off the back of a pilot. Either way, a successful programme won’t exist in a vacuum and it’ll be really important to have champions in the business or a friendly exec onside when roadblocks pop up. Having a really clear understanding of your objective is critical; what is it you plan to deliver through the programme? Are you looking for wholesale cultural change or simply to improve the day-to-day transactional experience of your customers? Ultimately, you might want to do both. Be wary of biting off more than you can chew in the early days – it might be helpful to think about building the programme in a modular way. Design for the now but also with an eye on the next step and ensure that, if required, more survey instruments can be added with minimal disruption to your programme. The things you want to measure – these should cascade from your objective. There will be differences between how you set out to survey a customer post-transaction or reach out to longstanding customers about their overall relationship with your organisation. Be crystal clear in what you want to measure before you begin to draft your surveys. Good survey design is an art and unfortunately we all still come across absolutely terrible surveys all the time! Quite often, enthusiastic stakeholders will want to add to the questionnaire and things might start to get out of hand. Being really clear about that objective and being mindful of the need to respect your customers’ time is important here. A survey designed by committee is unlikely to be cogent and well-thought out. It’s also really important to have a full understanding of the stakeholder landscape. A good idea is to spend time with each of your stakeholders, prospective internal clients and key influencers in order to understand their thoughts around the prospective programme. You may encounter scepticism or even a degree of fear from some. There’s that old cliché that ‘feedback is a gift’ but at times it can be an unwelcome one! Capture all the insight from these conversations, play it back to the group and ensure you are mindful of all their hopes, wants, fears and any likely roadblocks as you look to start your work. The vendor is another really important consideration. There are heaps of excellent vendors and a real range in terms of what you can expect to pay for their services. Ensure you get a full sense of what is out there on the market – it’ll help to bear your budget in mind while doing so. I’ve been fortunate to work with some exceptional vendors and they weren’t necessarily the most expensive or well-known. To me, what’s important is how willing they are to partner with you, truly understand your needs and develop solutions with you, rather than giving you a standard, off the shelf tool. Of course, many will assure you that they have the best solution but there is no magic answer out there. Really understand the degree of support you can expect, to what extent you’ll be able to customise your tool and more practical elements like licensing costs – especially if you plan to grow the programme. And consider your deployment plan. I’m a massive fan of piloting with friendly teams and building a working understanding of the practicalities of your solution before fully rolling out. Case studies are always good in terms of building wider support and momentum; case studies from within your own organisation are fantastic. Partnering with a good internal comms team and making use of storytelling to build interest and support is a really good idea if possible. Ultimately, there’s no set ‘right way’ to do this. Consider the specific needs of your organisation, your objectives, your budget and timeframes and be very clear with your prospective vendor on each of these things. NPS/CES/CSAT – when do you think it’s best to use each of them? I’ve used all of these at some time and in some cases combinations of each. NPS is 14-or-so years old now and definitely has its pros and cons. I like the aspirational nature of NPS – it’s not enough for us just to be ‘easy’ or for people to be vaguely satisfied: we want advocates! At the same time, NPS can be influenced by so many external factors – brand perception, economic factors, cultural factors, even the political landscape. For this reason, I prefer NPS as a ‘strategic’ measure; part of a relationship survey or brand benchmarking. I also think it’s appropriate as a measure around customer episodes. I’m not as much of a fan of NPS as a transactional or contact centre metric, particularly for individual agents. Those external influencing factors are outside of the agents’ control and I think it unfair to measure them in such a way. CES is probably better in these circumstances, though that might depend on the type of transaction you are measuring. For your everyday ‘call, get question solved, move on with your life’ type of transactions, ease is clearly an imperative. For more complicated, multiple contact types of interactions, ease might not be the ultimate aim. NPS might better capture the broader considerations of the interaction in these instances. CSAT, I’m not so sure about. ‘Satisfaction’ seems a bit of a low bar these days, doesn’t it? I know the purveyors of NPS and CES will both tell you that CSAT doesn’t really have any predictive quality and I tend to agree. I’ve also seen CSAT flatline for long periods of time and become quite unresponsive. If I were to use it, it would be in that short, sharp transactional space. I think NPS and CES can be quite complementary and I’ve seen a relationship between the two factors quite often. CSAT doesn’t have the aspirational quality, or the powerful one-number factor of NPS or the sharp focus and actionability of CES. Ultimately, whatever you pick, try to stick with it over time. The longer you measure things the better understanding you get: the ebb and flow over time, seasonality and cause and effect. Generally, seeing movement on a trend line is more useful than seeing static point-in-time numbers. The NPS question has been around for a number of years now, many people know what the scores mean which could lead to “gaming” of the system. Do you think we need something new? I think it all depends on whether we’re still getting useful information from whatever metric we’re using. The real power in NPS isn’t so much the number but the verbatim responses you get from the “why” question and the systematic, business-wide response to the feedback. NPS does seem to elicit deep, thought-out responses and therein lies the gold. Of course, you could go down the path of removing the number entirely and simply ask people how they feel about something. With a decent text analytics platform, this can be really illuminating and one vendor I know in particular is doing really interesting things in this space. I think part of the future of VoC programmes lies more in this direction, perhaps with predictive scoring based on comment content. I can’t see many organisations relinquishing their focus on numbers any time soon and I think NPS still neatly provides a number to follow as well as the deep contextual information. And of course, this is all pointless if your organisation doesn’t do anything with any of it! Do you think customers are surveyed too much these days? How real is survey fatigue? There are of course customers who aren’t predisposed to participating in surveys but this has always been the case. I think we shouldn’t take willing participation for granted though and we definitely should be investing in and exploring things like online communities, unstructured content analytics and diversifying our sources of insight. If we do rely entirely on surveys then we are more at risk if trends start to really go south. And finally, what do you think the future holds for VoC programmes? I would hope that they become less of a niche element in organisations but become even more powerful in influencing action and ensuring customers are considered in all decisions. I took my current role to explore how VoC principles can be employed in employee listening or VoP (Voice of People). The understanding of the intersection between employee and customer experience is really exciting, fertile ground and maybe we’ll see more programmes emerge with this kind of dual focus. Automated qualitative surveying through chat-bots looks to be a fascinating emerging area and one I hope to spend some time in. Where I’ve been most enthralled with the power of VoC though is observing customer huddles in care homes or clinics. Seeing teams come together to talk through their feedback and co-create solutions. Seeing the resulting lift in both customer and employee engagement. I think VoC programmes must be at the heart of a living, breathing system of activity rather than just another line on a manager dashboard. Some organisations are doing this brilliantly now but the future must surely be a place where this is a requirement, rather than exceptional. Tom Caley is the Global People Engagement Leader at Bupa. The views represented here as his alone and do not necessarily reflect those of Bupa. For more insights on Voice of the Customer and Voice of People programmes (as well as the occasional post about his beloved St Kilda Football Club), follow Tom on Twitter and LinkedIn.